The study found that by 2030, changes to the global climate could delay China's progress reducing diarrheal and vector-borne diseases by up to seven years. China has made significant progress increasing access to tap water and sanitation services, and has sharply reduced the burden of waterborne and water-related infectious diseases over the past two decades. However, in a study published in the latest edition of Nature Climate Change, researchers from Emory University found that climate change will blunt China's efforts at further reducing these diseases in the decades to come. The study found that by 2030, changes to the global climate could delay China's progress reducing diarrheal and vector-borne diseases by up to seven years. That is, even as China continues to invest in water and sanitation infrastructure, and experience rapid urbanization and social development, the benefits of these advances will be slowed in the presence of climate change. Using data drawn from multiple infectious disease surveillance systems in China, the study, led by Justin V. Remais, PhD, associate professor of environmental health at Emory's Rollins School of Public Health, provides the first estimates of the burden of disease due to unsafe water, sanitation and hygiene in a rapidly developing society that is subjected to a changing climate. Remais' team, including colleagues at the University of Florida, the University of Colorado, the Pacific Northwest National Laboratory, the Chinese Center for Disease Control and Prevention, and the Chinese Academy of Sciences, found that changes to global temperature can substantially delay China's heretofore rapid progress towards decreasing the burden of diarrheal and vector-borne diseases. The authors accounted for changes in China's population structure, the ongoing migration of China's population, and the country's rapid investment in water and sanitation infrastructure. "Our results demonstrate how climate change can lead to a significant health burden, even in settings where the total burden of disease is falling owing to social and economic development," says Remais. "Delays in development are especially concerning for China, which is investing heavily in improving health even as the impact of those investments is being countered by the effect of climate change." Remais and his colleagues present several policy options to limit the impact of climate change on China's infectious disease burden. If China and other major global greenhouse gas emitters take steps to reduce their emissions, the delay in China's development will be shorter, falling to as low as two years. Likewise, if China ramps up its investments in water, sanitation and hygiene infrastructure, the development delay imposed by climate change can be reduced to as low as eight months. "Our findings show that there are clear ways that China, and the global community, can limit these health effects of climate change, both by reducing greenhouse gas emissions and by investing in health through water and sanitation improvements," says Remais. "Even societies experiencing rapid improvements will be impacted by climate change, and our study highlights how delays in development come at a large cost, and can be avoided if we act now to reduce emissions of climate-changing greenhouse gases." The authors point out that their analysis focused on only one family of health impacts associated with climate change, and thus the true development delay imposed by climate change on China is likely much larger. They say that policymakers in China must be aware of the health risks—and associated costs—that come with continued increases in greenhouse gas emissions, both within China and globally. 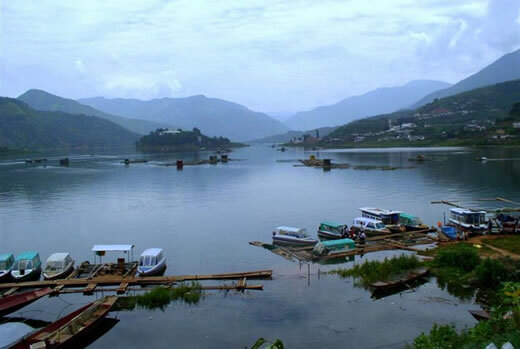 The study, 'Delays in reducing waterborne and water-related infectious diseases in China under climate change,' was supported in part by the Emory Global Health Institute.